AUSTIN, TX--(Marketwired - Aug 11, 2014) - Today, Ministry of Nuts Publishing House announced availability of the book Recovery by Charlie Amos. 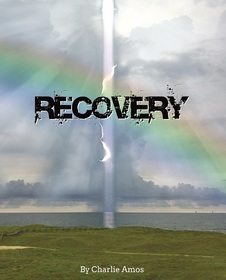 Recovery delivers a genuine and inspirational philosophy for living through, and beyond, addiction and personal trauma. A book signing event will be held Saturday, August 16, from 11:00 a.m. to 1:00 p.m. at the Living Room bookstore in Bastrop, Texas. A successful entrepreneur and recovering addict, Amos penned Recovery to help others benefit from the insight gained during his own hard-fought battle with chemical dependency. The book delivers a powerful message of hope, faith and strength that resonates with people from all walks of life. The first book in a three-part series, Recovery reflects on the restoration and transformation that takes place in the early days of the recovery process. Part memoir, part journal, Recovery is an interactive book that encourages the reader to chronicle their own experiences as they strive for wholeness of body, mind and spirit. "Recovery is a process of living and a philosophy for growth," said Charlie Amos, author, speaker and survivor. "I never plan to get well; to be completely recovered. I just continue to get better one day at a time." The genesis of Recovery started with a plea from Amos, the Prayer for Productivity, requesting a worthwhile purpose in life after decades of self-destructive drug abuse. The book is filled with stories and inspirational homilies, many of which began as text messages to friends and other recovering addicts. In fact, Amos wrote the entire book on his phone upon returning to the 'real world' after his stay in a West Texas recovery center. "Charlie offers us a glimpse into recovery and all it has to offer. Through his reflection we see ourselves in the mirror," said Teri Costlow, co-founder of SerenityStar Recovery Resource Center and Comfort Cafe. "This is an interactive journey that invites God along the path and guides us to a deeper understanding of our choices." In addition to being a valuable resource for any individual seeking personal healing and self-discovery, Recovery is well-suited for use as an interactive workbook in class exercises. To help instructors and counselors get the most benefit when using Recovery in a group setting, Amos is writing a companion book to be called Steps. Recovery is available in soft cover and hard cover from Amazon and the Living Room bookstore, as well as digital downloads from Amazon Kindle and iBooks. For more information, visit the website or Facebook page: www.facebook.com/MinistryOfNuts. Join author Charlie Amos on a journey to spiritual freedom and awakening through personal recovery. Help is within reach. 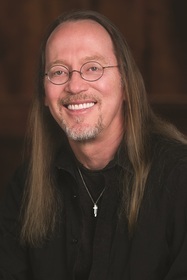 Charlie Amos has survived trauma, heart attacks, strokes, cancer and chemical dependency to become an author, inspirational speaker, philanthropist, ordained minister and pillar of the recovery community. Through his writings, teachings and public service, Amos continues to carry the message worldwide that the journey of spiritual freedom through personal recovery is essential to the wholeness of the human experience. Amos serves as a board member for several local nonprofits, including SerenityStar Recovery Resource Center, the Bastrop Family YMCA and Keep Bastrop County Beautiful. He also teaches a course in 'Writing for Recovery'. Ministry of Nuts is a charitable foundation whose mission is to empower messengers of the recovery movement through services and philanthropy. Inspired by the least of God's creatures, Ministry of Nuts offers programs, speakers, volunteers and charitable donations to organizations and individuals who carry the message of recovery to those still suffering.